While much of the work on the Eglinton Crosstown to this point has been building tunnels and stations for the underground portion, there is another nine kilometre stretch to the east that is about to start taking shape. Early work began in 2017, but now’s the time for this part of the project to come to life. Major work is set to begin on the surface portion of the line. Starting in March, work will begin on the Kennedy Portal – the tunnel for trains entering/exiting the underground Kennedy Station to and from the surface. 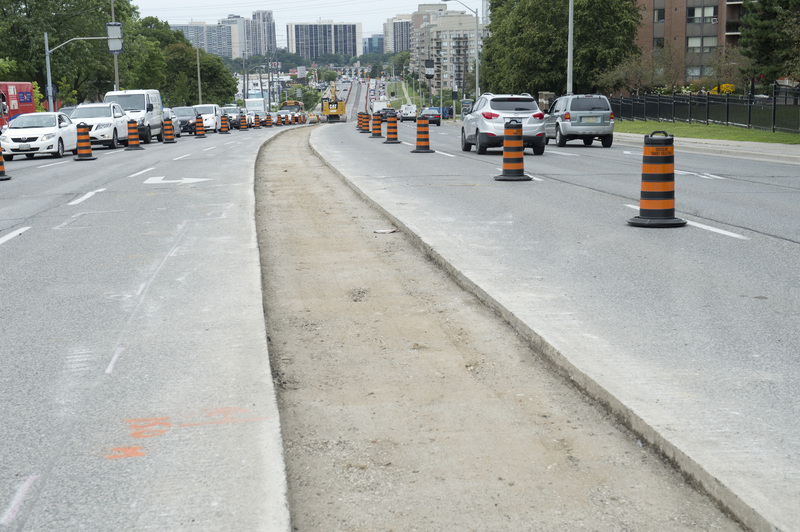 For this work, Eglinton will be split down the middle between Ionview Road and Kennedy Road while crews work to excavate. 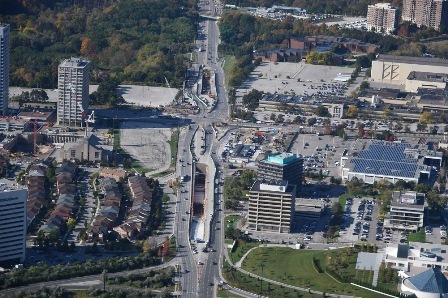 A similar set-up can be seen currently on Eglinton Avenue, east and west of Don Mills Road. When complete, trains will begin their descent at Ionview Road, and will disappear underground just before the Eglinton and Kennedy intersection. Customers travelling to Kennedy will be able to connect to Lines 2 and 3 without having to leave the station. The traffic setup for the Kennedy portal will be similar to the setup pictured for Science Centre Station, but on a smaller scale. Work for the 10 surface stops is slated to begin later this year. This will involve a massive, coordinated operation down the centre of Eglinton to start preparing the space where the tracks will eventually go. Despite having to work within a restricted space, traffic engineers are confident in their ability to maintain traffic flow. 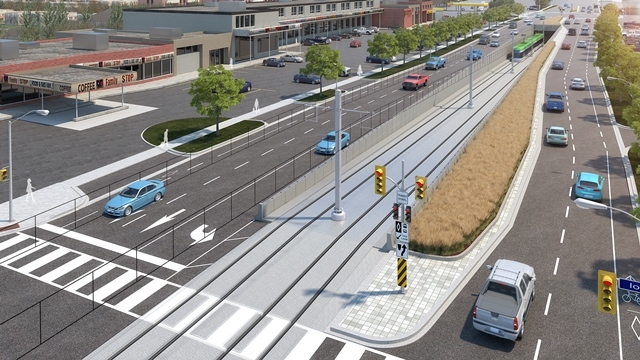 When complete, the surface section of the Eglinton Crosstown will bring nine kilometres of fast, reliable, and modern transit to Eglinton Avenue East, transforming the neighbourhoods it intersects and better connecting residents and businesses to the rest of the city.